Home >> Generated from JAN's SOAR Information System on 4/26/2019 3:41:30 AM. Effortlessly move from a sitting to a standing position with the sit to stand TaskMate Journey from HealthPostures. Improve and productivity and comfort while at work and have the freedom to move whenever you like. 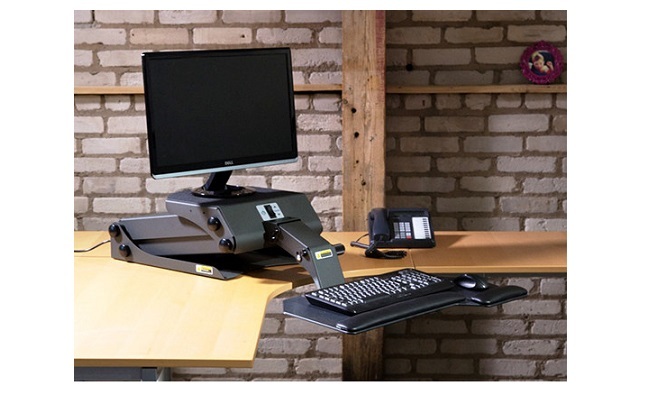 The TaskMate Journey is a high-quality sit to stand workstation that will help provide energy for a healthier way to work.